Polycyclic Aromatic Hydrocarbons (PAHs) are a group of Volatile Organic Compounds (VOCs), which have serious health problems associated with their emission into the atmosphere. 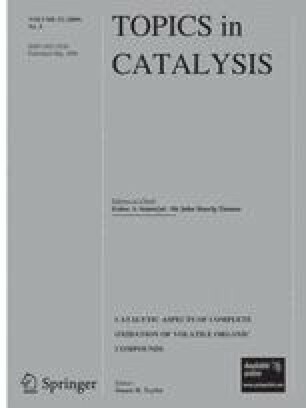 Catalytic oxidation is an effective abatement process to control PAH emissions, and the types of catalysts investigated have been reviewed. The majority of studies have used naphthalene as a model PAH, and in particular, catalysts containing palladium and platinum have demonstrated high activity for total oxidation. Catalysts based on the precious metals include those supported on high surface area supports, which have also been modified by adding further components, and metal exchanged zeolites. Metal oxide catalysts have also been employed and the most active for total oxidation are ceria-based. Studies of PAH total oxidation have largely been reported only in the last 10 years, and there still remains wide scope to develop improved catalysts and understand their catalytic mechanisms.